Part of the Keep Britain Tidy campaign. 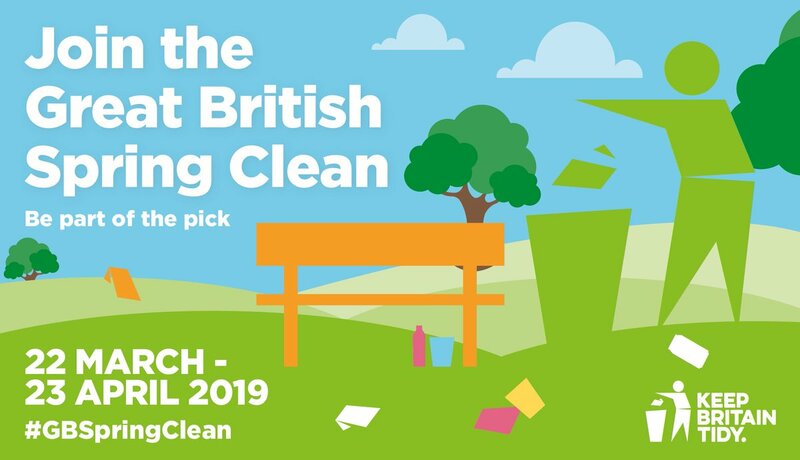 There will be some litter picking tools & plenty of bags. with help from Stanford & Cleveland Community Garden. All Tidy Up Team training sessions take place in the Learning Resource Centre, Hollingdean Depot, Upper Hollingdean Road, Brighton, BN1 7GA. For more information visit – https://www.brighton-hove.gov.uk/content/leisure-and-libraries/parks-and-green-spaces/tidy-team-volunteer-litter-pickers. 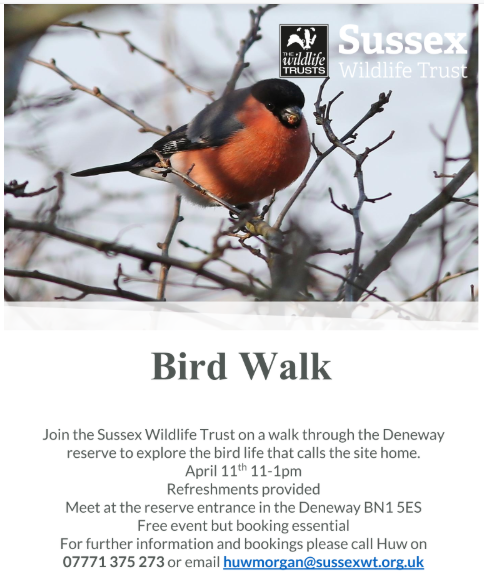 Join Sussex Wildlife Trust on a walk through The Deneway reserve to explore the bird life that calls the site home. Twittens and Cottages, Villas and Views. Meet at St Nicholas Church doorway (TQ 308044) at 6-00pm. 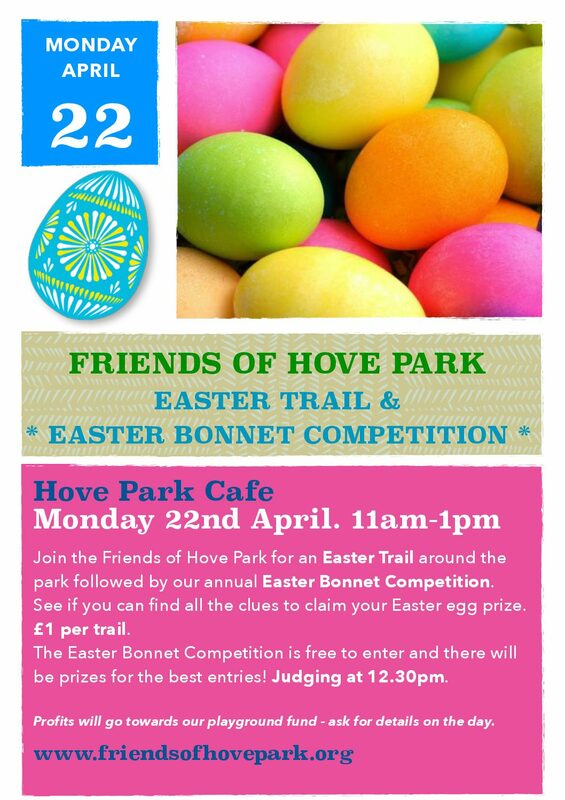 park followed by our annual Easter Bonnet Competition. See if you can find all the clues to claim your Easter egg prize. be prizes for the best entries! Judging at 12.30pm. Profits will go towards our playground fund – ask for details on the day. Please come along to Stanford and Cleveland Community Garden’s annual Plant Sale. We have a good selection of annuals, perennials, vegetables, herbs and seeds for sale. There will also be cheap refreshments, craft items , gardening books and magazines. All proceeds go towards the upkeep of the garden.